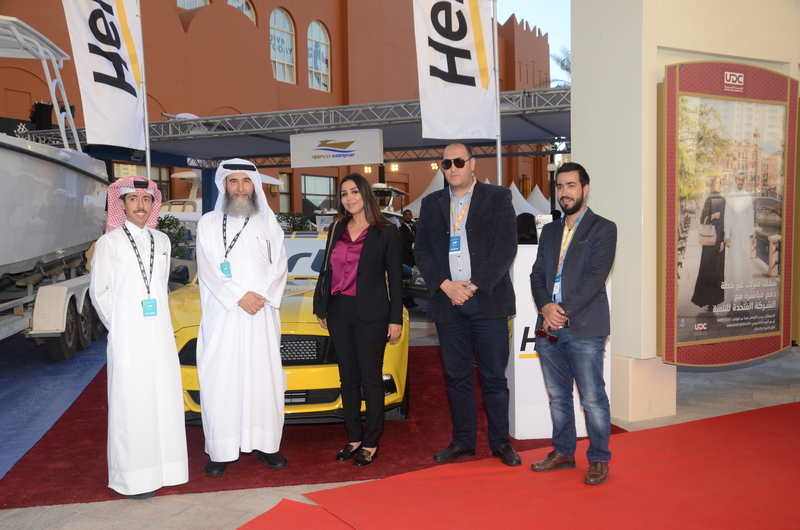 Hertz Almana was honored to be Official Automobile Sponsor of the 2019 Qatar International Boat Show 2019 6th edition. The Qatar International Boat Show that was held at The Pearl Qatar Marina Walk from March 12 till March 16 2019, was inaugurated by HE Sheikh Ali bin Ahmed Al Kuwari, Minister of Commerce and Industry. Many of the world’s best International brands showcased their most luxurious Yachts and Speed Boats. The event that is yearly organized by AlMannai Plus Events was very unique this year, as for the first time Qatari owned companies presented speed boats designed and manufactured in Qatar. One of the boats was gifted to the Qatar Coast Guard and Ministry of Interior. Hertz managed all the logistics and transportation requirements of the event catering to the Exhibitors, Management, Staff and Press. 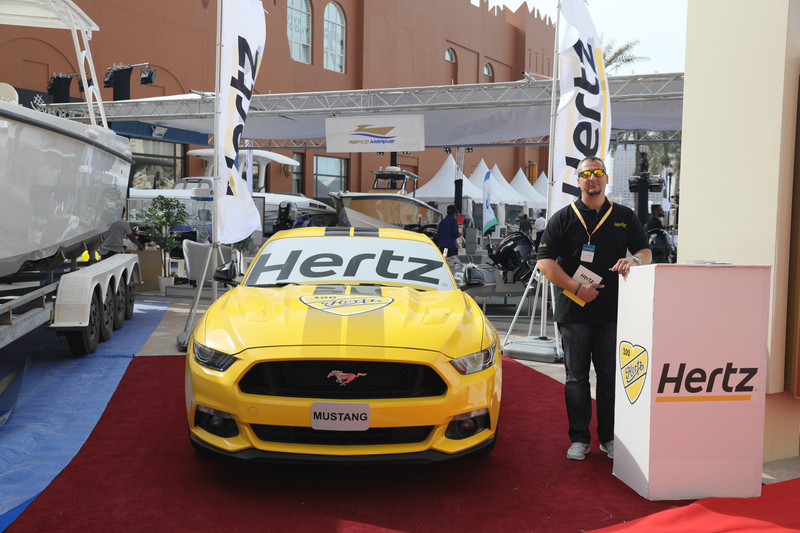 In addition, Hertz Almana represented 2 iconic brands, the Ford Mustang and the Jeep Grand Cherokee they were displayed very uniquely. For the event, Hertz offered all event visitors special rates for rentals vehicles during and after the event. 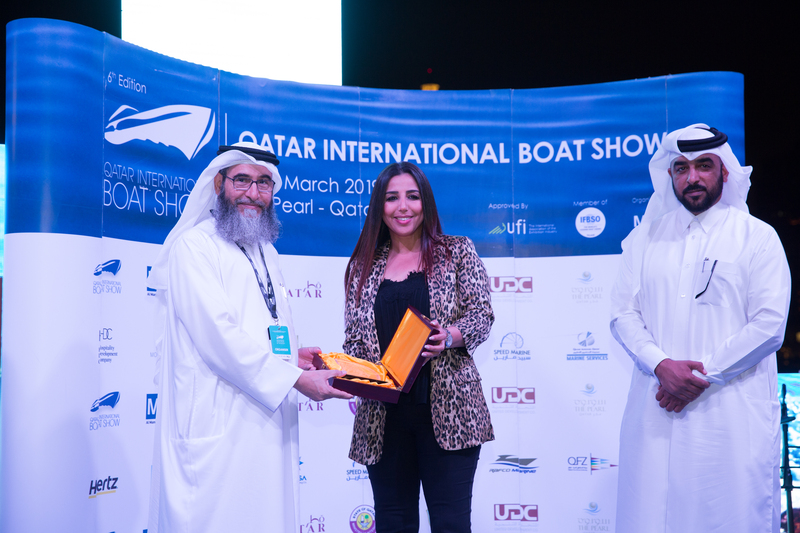 Sanaa Ouahmane, General Manager Hertz Qatar said “We are honored as Hertz and Almana to be associated with the Qatar International Boat Show for 2019. I am also very proud of the Hertz team that managed all the transportation and logistics needs for the event without fail and for the great customer experience they provided”. “We thank the organizing committee AlMannai Plus Events and Mr. Khaled Issa Al Mannai for giving us this opportunity. We look forward to working together again next year” she concluded. “We are so pleased to have Hertz Almana with us this year and we thank them for their exceptional support in this edition of Qatar International Boat Show. We look forward to working together in future events to come” said Mr. Khaled Issa Almannai, Chairman of AlMannai Plus Events. In the closing ceremony, Hertz Almana was Awarded a trophy received by Sanaa Ouahmane, General Manager Hertz in the presence of all other sponsors, organizers and press.